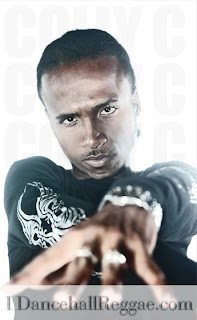 Singer/Song writer Dwayne Collymore aka Colly C was born in Kingston Jamaica with a passion for making music. Known as one of the most versatile yet underrated up and coming artists Colly C has seen many and overcame many obstacles since his days at St. George’s College in Kingston. Over the Years he have worked with some of the top producers in the Dancehall/Reggae industry and recorded on some of dancehall’s most popular riddims. It was in 2000 that the multi-talented artist, became more serious about his craft. He was introduced to Donovan Bennett better known as Don Corleone of Vendetta Studios shortly after and together they created his unique style that has made him the artist he is today. His first single, “Paralyze” featuring Tami Chynn was released on the Mad Ants riddim. Colly C later started recording for the production trio, Daseca, he recorded his hit single ‘Rise Up’ with Daseca Productions and also worked with producers such as Left Side and Esco, Russian just to name a few. You might also hear him on popular riddims such as Paleam “You’re Nobody Till Somebody”, Gigi riddims “Look good”, Supernatural riddim “Life is short” and No Tampering riddim, “Bling Blingin” and more. Being one of the hottest ghostwriters in the business to date Colly C has penned the lyrics to some of the most popular dancehall songs we hear on the radio today. He has written for artist such as Wayne Marshall, Bounty Killer, Tami Chynn and many others. He also collaborated with other top artist like Camar formally known as Flavor Unit, Calico, Supa hype, Tami Chynn and Future Troubles. He has performed on some of Jamaica’s biggest stage such as Stainless 2K2, Sting, Fully Loaded and many more. Currently the lyrical prodigy as he is dubbed is working on a number of different singles. He is on his way to fulfilling his dream of touching others with his music, and making a name for himself in the reggae cultural legacy as well as dominating throughout the rest of the world. Colly C is now managed by Florida based management company Extreme Chaos Entertainment which is currently streamlining the promotion for his blazing hot new track entitled “Transport" produced by Head Concussion. The single can be heard in heavy rotation on local stations including ZIP and RJR94fm.